How Do You Drive Safely on Icy Roads? 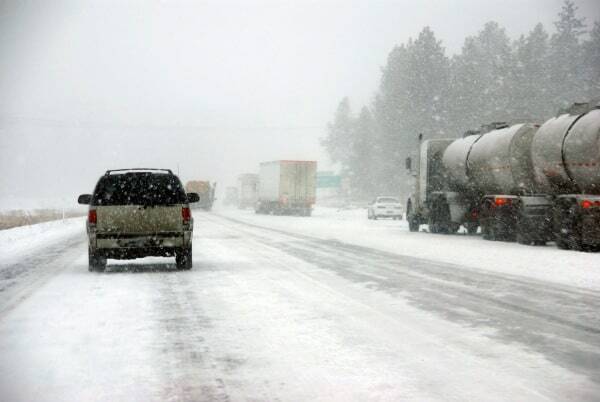 Home » Blog » How Do You Drive Safely on Icy Roads? This winter has been the coldest one the area has had in a few years. These colder temperatures combined with freezing rain and snow can make Texas roadways dangerously slippery. As the temperatures drop, road surfaces become icy, which can lead to accidents. Keep the following tips in mind this winter as you drive on icy roads so that you can lower your risk of being in a car accident. Bridges get icy faster than other roadways due to their elevated and open design. If you need to drive over bridges this winter, take your time and avoid increasing your speed as you head uphill. Even if the roadway leading up to the bridge isn’t slippery, remember that the bridge itself is likely to be icy if it’s been raining or snowing and the temperatures have dropped. The usual rule of thumb on dry roads is to leave three or four seconds between your vehicle and the one in front of you. When it’s icy out, though, you should leave between eight and ten seconds between your vehicle and the one in front of you. Cars take longer to stop on icy roadways, so this increased distance gives you more time and space to hit the brakes and slow down or stop if you need to. Following too closely behind the car in front of you means you won’t have as much time or room to react safely, which puts you at risk of being in an accident. Whether you’re trying to increase your speed on the highway or slow down for a red light, gently apply pressure to the gas pedal or brakes rather than trying to accelerate or decelerate too quickly. Doing this can cause your car to slide or fishtail, which can result in you losing control of it. Your car needs more time to speed up or slow down on slippery surfaces. If your car starts to slide on ice, stay calm and turn your steering wheel in the direction that your rear tires are going. In other words, turn into the slide instead of trying to force your car to go the other way, which could be more dangerous. Keep in mind that you can end up overcorrecting and causing your car to slide the other way. If this happens, turn your steering wheel in the opposite direction to correct it. While this is good advice throughout the year, it’s even more critical when it’s icy out. When you’re driving on slippery roads, make sure you’re ready to react if another car starts to slide or suddenly slams on its brakes. Leave plenty of space around you, so you’ll have room to maneuver to avoid a collision if at all possible. If you’re involved in a car accident this winter, please contact The Dashner Law Firm for assistance.